We demonstrate a simple and reproducible method of solution-processed fluorocarbon encapsulation which significantly improves the device performance of molybdenum disulphide (MoS2) thin-film transistors (TFTs) operating at low voltages. Using such encapsulation, the key factors of the device, such as field-effect mobility, sub-threshold swing and device-to-device uniformity were improved. This achievement is presumed to stem from the screening effect of fluorocarbon, poly(vinylidene fluoride-co-trifluoroethylene) (PVDF-TrFE) which possesses a chemical structure with polarizable interactions of carbon–fluorine (C–F) bonds in the end groups, on the scattering of charge impurities in MoS2 TFTs. 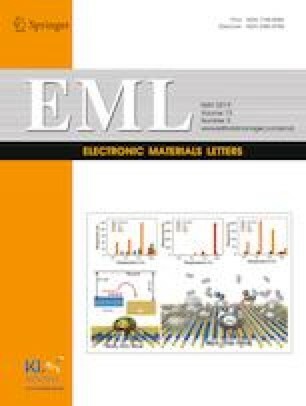 We also investigate the Raman spectra to verify the effects of solution-processed fluorocarbon encapsulation on the structure of MoS2 thin films where the decreases in the intensity levels of E2g and A1g were observed without a shift in the peak. 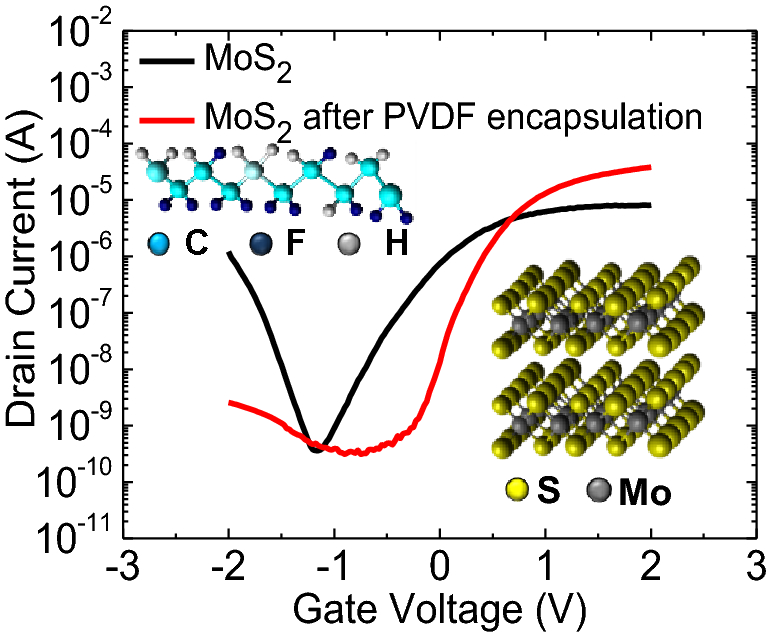 We believe that such a screening method can be a promising approach to recover the intrinsic electrical characteristics of MoS2 TFTs for nano-electronics with low power consumption. This work was supported by the National Research Foundation of Korea grant funded by the Korea government (MSIP) (NRF-2017R1A2B2003808).